FDVG to host first charity event April 3rd & 4th! 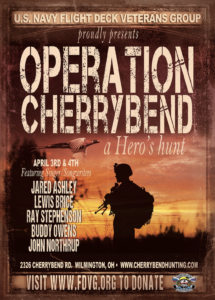 Operation Cherrybend, A Hero’s Hunt! A very special event taking place at Cherrybend Pheasant Farm in Wilmington Ohio. Cherrybend, a family owned business owned by Matt and Beth Ellis is one of the most beautiful pheasant hunting preserves in the world. 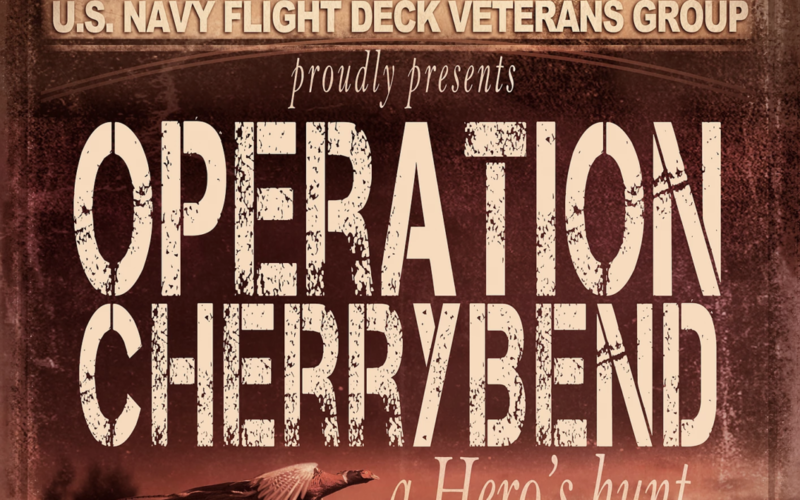 FDVG and it’s members are proud to host this event aimed at honoring a few of our military and civilian hero’s. Also featured will be some very successful singer/songwriters, Ray Stephenson, Lewis Brice, Buddy Owens, John Northrup, and FDVG founder Jared Ashley. Being able to take these very inspirational hero’s on this hunt hosted by some of my very close and talented friends in the country music industry, is a dream come true for me! I served 4 years in the U.S. Navy doing two tours in the Persian Gulf and now live in Nashville and work as a full time singer/songwriter. So mixing my two passions together on one event for a very good cause, is very exciting for me; say’s Jared Ashley.